According to U.S. News & World Report, more students choose to transfer to UCF than to any other university. Why? We are big, bright, bold and innovative. We are right now — and what’s next. With more than 215 degree programs and 650 diverse student clubs to choose from, you will develop new interests, make important connections and evolve your passion into a meaningful career. To assist with the transfer process, the Office of Transfer and Transition Services provides pre-admission and transition advising to students to promote their successful transfer. Additionally, the office provides connections to the campus community through a strong Peer Advisor program. Transferring to UCF starts with preparation. The Transfer to Be a Knight program is designed to make your transition as smooth as possible. Please join us at the Office of Undergraduate Admissions at 4 p.m. on select Thursdays for an information session filled with advice and support on all things related to transfer students: admissions, application, requirements, credit reviews and more. Spots are limited. RSVP early. 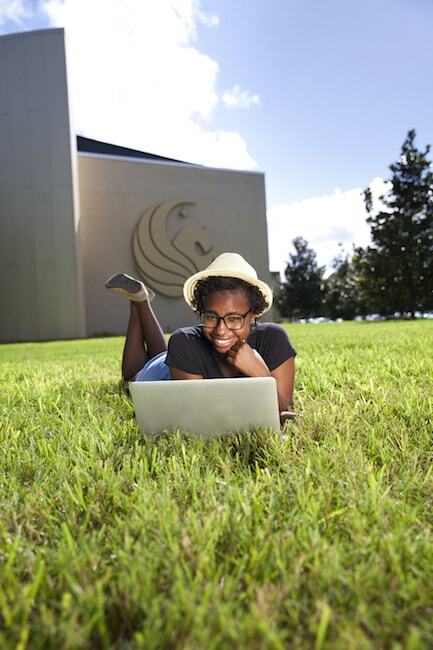 Ensuring that you have the tools and support you need to transfer to and succeed at UCF is a top priority. That’s why we provide you with academic resources and services specifically designed for transfer students. If you attended any international educational institutions, please review the requirements regarding evaluation of these credits. High school transcripts may be required to demonstrate completion of the foreign language admission requirement. High school transcripts are not required for transfers with an awarded A.A. degree from a Florida public community college, state college or university if initially entered Fall 2014-15 or after. Florida BOG Regulation 6.001 (7) authorizes universities to refuse admission to applicants due to past misconduct. Meeting minimum requirements does not guarantee admission. If you previously attended UCF as an undergraduate degree-seeking student, you must submit a readmission application through the Registrar’s Office. Please contact them at 407-823-3100 or access the readmission application. 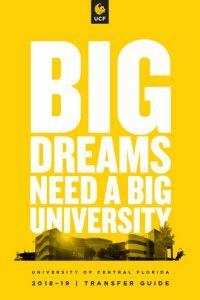 Admission criteria varies based upon the total number of transferable semester hours of college coursework you will have completed by the time you enroll at UCF. Each category below specifies admissions requirements. *The redesigned SAT was launched by the College Board in March 2016. UCF accepts both old SAT and redesigned SAT scores. *Students not meeting all of these requirements must meet the requirements for transfer students with fewer than 30 transferable semester hours. *Language requirement will be satisfied upon award of the A.A. degree from a Florida public community/state college or university if initially entered fall 2014-15 or after. Shortly following admission, a transfer credit report will be available on myUCF. Our Orientation office will contact you concerning your attendance at a one-day orientation program. During Orientation, you will receive academic advising and assistance in planning your class schedule. You will also meet with other transfer students as well as faculty and staff who can assist you as you make this important transition. Find opportunities to get help paying for classes and cost of living.